Andrew Lloyd Webber – arts, ink. With the rise of popularity of the Broadway Musical Hamilton for the past several years, the entire Broadway community has gained more popularity. While Hamilton was one of Lin Manuel Miranda’s first musicals, there are several other composers and playwrights that have created hit after Broadway hit for decades. The most popular of these composers is Sir Andrew Lloyd Webber. Webber was born in London in 1948, and has been composing since 1965. 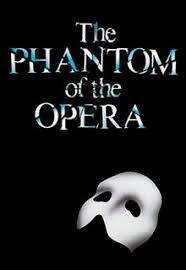 His two most famous musicals are the Phantom Of The Opera, and Cats. He has also composed Evita, Joseph and the Amazing Technicolor Dreamcoat, School of Rock, Sunset Boulevard, and Starlight Express. Most of his most popular work, like Phantom of the Opera, and Joseph and the Amazing Technicolor Dreamcoat were filmed and made into DVD’s. They were filmed as a Broadway musical using the stage and sets from when they performed on Broadway, they just did not have an audience during the filming. Another musical of Webber’s musicals that got made into a movie was School of Rock. The School of Rock movie was different from the other two movies that were made because School of Rock was not filmed on a stage. It was filmed on a movie set, the movie was a film adaptation of the musical, whereas the other movies were just recorded versions of the Broadway shows. All of his movies have some famous actors in them. Johnny Osmond played Joseph in the movie of Joseph and the Amazing Technicolor Dreamcoat, and Jack Black was the main character in the movie adaptation of School of Rock. Webber has a new movie adaptation that is in the works. The movie rendition of his famous musical Cats is casting right now. Cats is set to star several famous actors and singers such as Jennifer Hudson, James Corden, and Taylor Swift. Webber has been a big face in creating and composing musicals since the 1970s and he is not going anywhere soon.